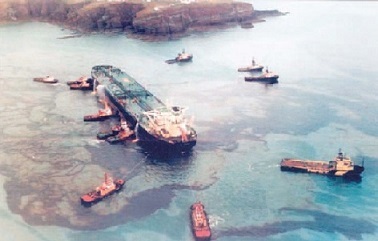 Working system and preparation : The Master is responsible for the prevention of marine pollution. The Chief Officer is responsible and shall comply with all instructions and as laid out herein for all cargo oil transfer operations and ballast operations. He shall supervise all such activities carried out by the Junior Deck Officers and Deck Crew. Prior to commencement of any cargo oil operation the Chief Officer shall prepare a detailed plan & the same to be approved by Master. Delivery of Slops, Sludge and Cargo Residues to shore facility. Special features and characteristics of the cargo, addressing any precautions to be observed. i.e. high H2S content, high viscosity, high vapor pressure, initial monitoring of loaded heated cargo temperatures, etc. Procedures and arrangements for starting and stopping loading or discharging operations, crude oil washing, and ballast operations. Communication between the cargo control room, pump room and on-deck. Monitoring and maintaining the maximum allowable manifold pressure during discharge operations. Special conditions at the loading/discharging terminal (eg moorings, draft and trim limits, monitoring manifold movement restrictions including height limitations, river and tidal currents, etc. Specific duties distribution for Junior Officers and crew. Procedures for emergency situations and communication. Effective means of communication shall be established between the cargo control room, on deck watch standers and shore terminal operators. To prevent mistakes caused by human, which make up the greater part of causes of accidents, matters that require attention shall be discussed before the start of work. The items for the “One point finger pointing and call method” should be practiced. The Chief Officer shall prepare and post a watch schedule detailing the person in charge for the duration of the planned cargo oil operation. This schedule shall detail the working arrangements, duty shifts and contact details. Leaders of shifts should also be mentioned. The schedule shall include additional support staff and include the person in charge of cargo transfer operations. The Chief Officer shall complete the company’s designated checklists and conduct a Pre-transfer meeting with shore facility representative(s) to cover all aspects of the proposed operations. • Specifications, temperatures (if applicable) and quantity of cargo oil. Including peculiar hazards / precautions needed to be followed. • Maximum oil transfer rate, and maximum manifold pressure. • Any shore / terminal / berth restrictions, including loading arm restrictions and any specific preventive measures or requirements to be adopted to avoid accidents. • In case of discharging, Shore receiving tanks details and distance from ship, Crude Oil Washing Plan details and terminal procedures/restriction. • Any other related circumstances and procedures requiring special attention. • Procedures for emergency situations and means of communication. Temporary stoppage and final Stoppage. The vessel should send and exchange such required information (details which can be obtained from the Port Guide or local agent) by national and regional regulations, well in advance of her arrival, which may be required in the form of a check list. The Chief Officer, after confirmation, shall affix his signature on the related checklist. The Master, shall then sign on the completed checklist. “Crude Oil Washing Checklist” . “Ship to Ship Transfer Checklist” , as required. The above checklist shall be completed correctly and signed by both the Chief Officer and the shore terminal representative. Each shall retain one copy of the check list. For items that need to be periodically verified, suitable intervals shall be decided and entered at the initial stage. For US Ports, each item of confirmation in the “Declaration of Inspection” needs to be initialed by both parties, prior to commencement of cargo oil transfer operations. The pre-arrival cargo gear and other equipment checks are to be conducted as and details entered into the deck log book . Tanker Loading Checklist, Tanker Discharging Checklist, Crude Oil Washing Checklist to be completed as required. Ship specific “Checklist for Preparation for Entering Port” and other ship controlled documents should be prepared and approved for use and distributed onboard for efficient compliance. • Expected time of change-over of tanks. • Checking Items marked “R” (Re check) as per Ship-shore check list (ISGOTT). The deck duty officer shall also relay the status of other ongoing activities related to the oil cargo transfer operation like Ballast operations, tank cleaning, oily water transfers and COW operations. The Master and Chief Engineer shall ensure that the concerned crew are well acquainted with the mechanism and its operation. They shall also ensure that the equipment and machinery is inspected and maintained in its operational readiness before use. The Chief Officer is responsible for the training of all crew directly involved in oil cargo transfer operations. He shall train all such personnel to be familiar with the proper operation of all equipment and machinery related to oil cargo transfer operations. The Chief Officer is also responsible for assuring that the below equipment is inspected and checked for operational condition prior to the commencement of any Cargo Oil Transfer operation. • High level alarm unit. The manufacturer’s instruction manuals should be used for reference.